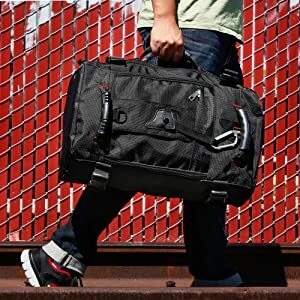 Whether you are outdoors going hiking, camping, traveling, backpacking, or in everyday occasions such as school, work, adventure, shopping, etc, this multi-function classic design bag will make your experience more enjoyable and convenient then ever! Made with high quality and durable tear and water resistant material, it features a zippered closure large spacious main compartment with 1 large inner pocket to store your outdoor activity essentials. 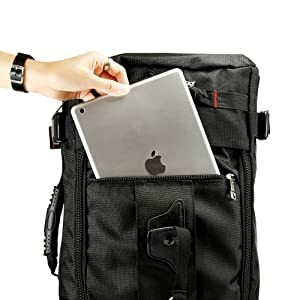 There are 2 front zipper closure pockets, one larger with anti-theft design and dual zipper to store your valuables such as wallet, iPad, iPhone, dumb phone or laptop, and a smaller one for small accessories. The padded and breathable mesh back panel offers cushioned comfort, while also promoting air circulation for your back. Get this backpack now and go hiking in style! This multi-purpose bag can be used as a backpack, a messenger/shoulder bag, or a duffel bag. 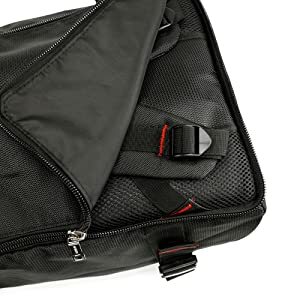 To use it as a messenger/shoulder bag or duffel bag, just use the detachable and adjustable shoulder strap, or grab the sturdy handle on the side. 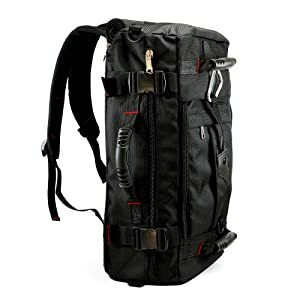 To use it as a backpack, simply unzip the dual zipper closure hidden compartment on the back, roll it up and secure it with the Velcro, and the 2 padded, breathable, and S-shaped shoulder straps that spread loads better across your shoulders are revealed. 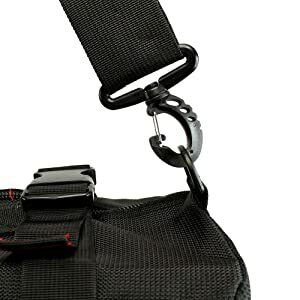 4 adjustable durable buckle straps on the sides for side compression purposes or to attach bulky gear to the outside of the bag. 6 attachment rings (2 plastic on the side for detachable shoulder strap, 1 plastic and 1 metal on the front, 2 plastic on shoulder straps) and 1 metal detachable carabiner hook ring to link or attach extra pockets/items for you convenience. 2 more handles are on the front of the bag for easy handling and lifting.